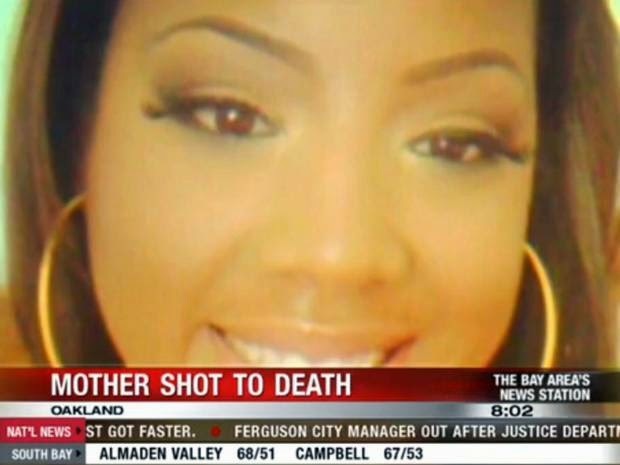 A mother of three was fatally struck by a stray bullet while trying to shield her young children from the gunfire in West Oakland on Monday. The woman was identified as 30-year-old Chyemil Pierce and according to Oakland City Council President Lynette Gibson McElhaney, Pierce had grown up in the area. The shooting occurred in the 2900 block of Chestnut Street around 4:45 p.m. Monday. Chyemil was on her way home after picking up her children from school. Her two children who were with her at the time of her death were 7 and 9 and attended the Vincent Academy charter school. “My heart is burning for the loss of the life of a young mother and for her children, who will grow up without their mother,” Gibson McElhaney said. The councilwoman said she’s been told that the shooting erupted after a group of young women began fighting on the street where young men joined the fray and opened fire. Oakland police said two other people were injured in the gunfight, but both were in stable condition. According to her LinkedIn profile, Pierce worked as a human resource specialist at Kaiser Permanente.